I have it confirmed directly from the press information that Linux will be fully supported, which is fantastic news! It will officially release December 20th, which is quite surprising given it's only just been announced. For the last year we've been secretly working in our underground labs on the next iteration of the million-selling Bridge Constructor series. This new stand-alone title will release on PC, MacOS, Linux, mobile devices, and console, and fully embraces the Portal license, one of the most beloved video game franchises of the last decade. I have to admit, I'm quite excited by this. I'm a huge Portal fan and mixing these two games together really could be hilarious. Not sure why people are bitching about it on YT though. pete910 Not sure why people are bitching about it on YT though. You bothered to read YT comments? You poor man. Not really, noticed that the likes was missing! After the first few comments I read I figured the usual had gone on with most YT vids. 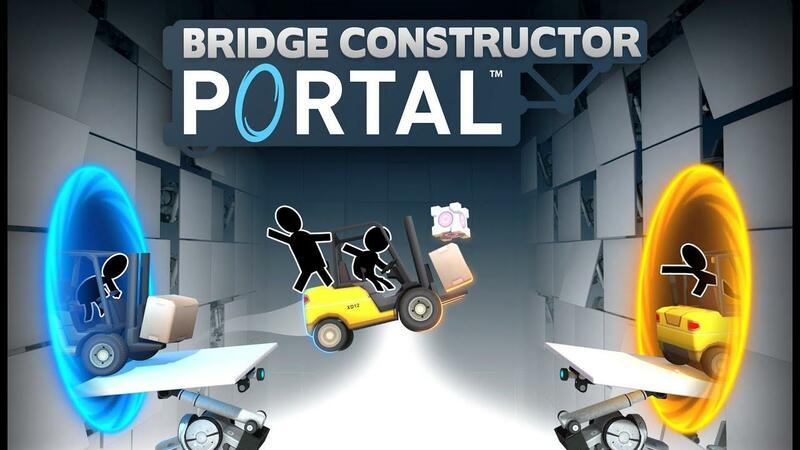 I have all the older Bridge Constructor games & both Portal games, now there's one that combines both together. Count me in. lucifertdark I have all the older Bridge Constructor games & both Portal games, now there's one that combines both together. Count me in. Did you actually enjoy the originals? I only played the first one and thought it must be the least fun bridge building game I've ever tried. I can't remember names, but there are free flash games around that do it better. I do like how this one looks and I just love Portal, but I'll have to see a few reviews before I even consider having it on my wishlist. Given the YT comments I am wondering if people will review bomb it on the Steam store page. Just hoping for an objective review myself. Geez. What is wrong with people? There are some reasonable comments, mind you. 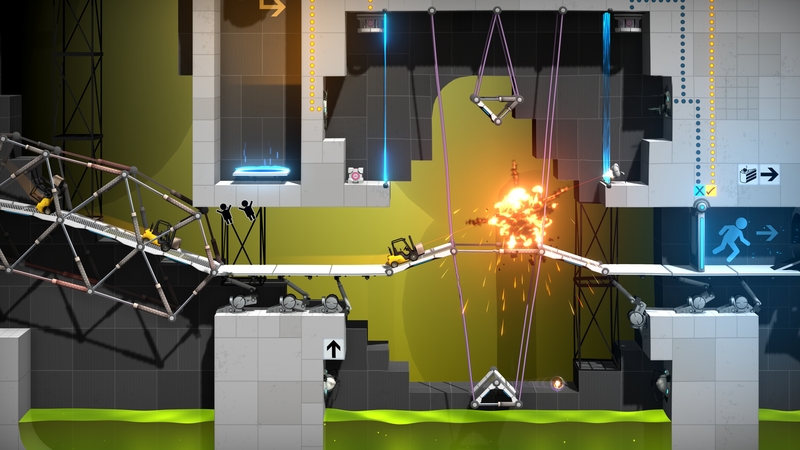 I've never played Bridge Constructor (although I liked World of Goo, which is vaguely similar... kind of), but mixing it with Portal sounds like a fun idea. Looks like they've nailed the art style, too, basing it on the in-game diagrams from Portal rather than the 3D “reality”. That's pretty cool.